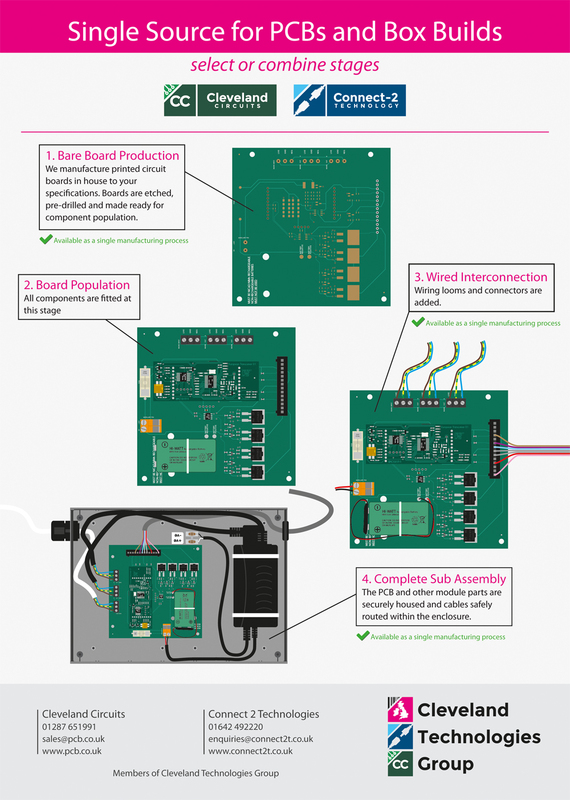 For those of you looking for wiring harnesses complete with populated printed circuit boards Connect-2 Technology offer the Ultimate Sub-assembly Package. By combining with our sister division’s production capabilities we can supply you direct with all the wiring and inter-connection you need, complete with populated printed circuit boards and test certificate supplied ready for you to connect to your equipment. You can even ask us to build the complete electro/mechanical sub assembly ready for you to supply direct to market. Apart from providing you with cost downs based on your reduced administrative and purchasing costs this single source opportunity allows your technical department to have greater control over your particular quality and production requirements, as well as effectively halving your related supplier audits. Your convenience, cost saving and technical control advantages all add up to provide you with the Ultimate Sub-assembly Package. If you have a requirement for interconnection and sub-assembly with associated PCB's please complete our Ultimate Interconnection Quote Form and one of our friendly and knowledgeable team will contact you, alternatively, telephone 01642 492220.